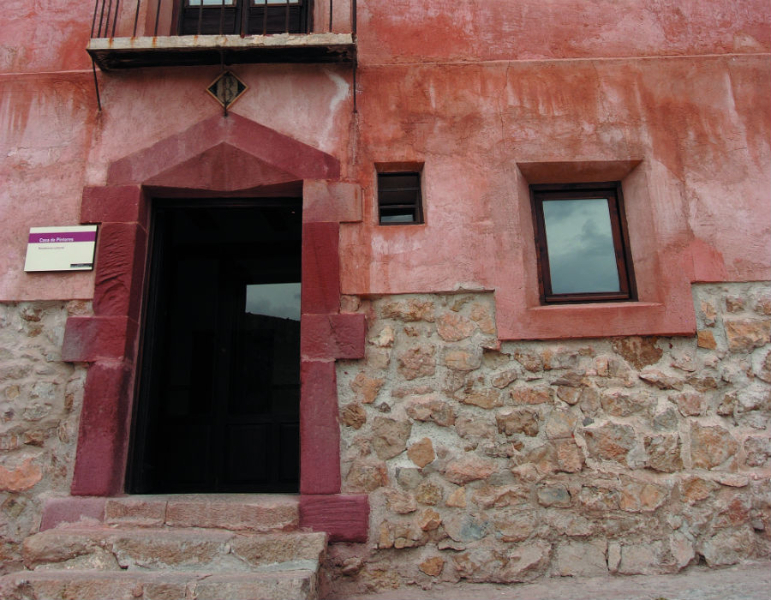 “Casa de Santa María” is one of the cultural residences owned by the Foundation. 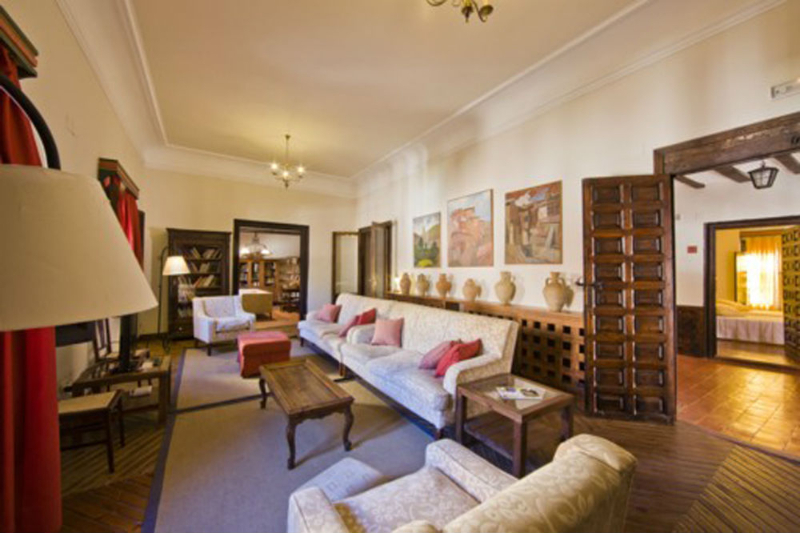 This magnificent 18th-century palace-house was restored under the Foundation’s architectural restoration programme to serve as a cultural residence. After its restoration in 1998, the original manor house’s ‘distinguishing features’ were recovered. 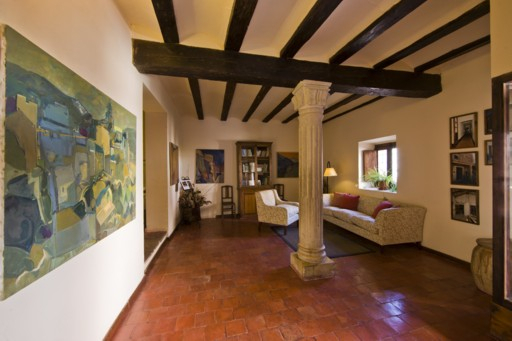 The building itself and its harmonious furnishings set the tone for the tastefully simple style that is the key to its charm. 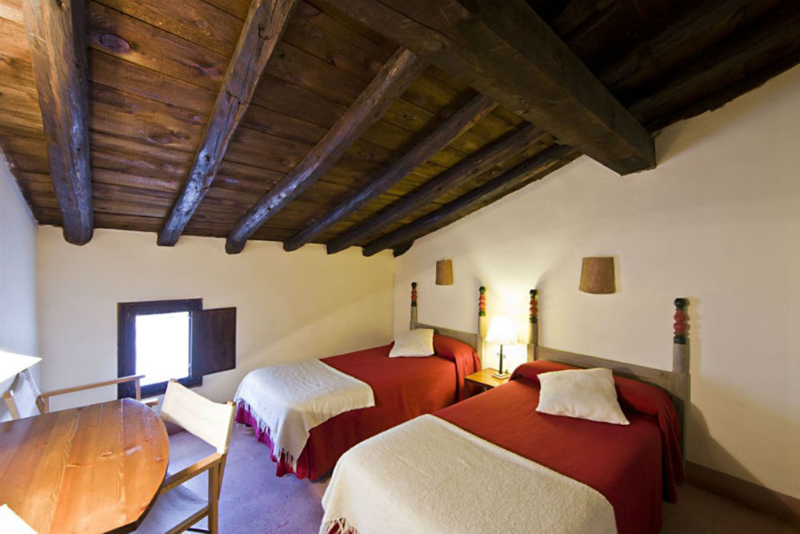 The “Casa de los Pintores” Residence is built in the traditional style typical of Albarracín. 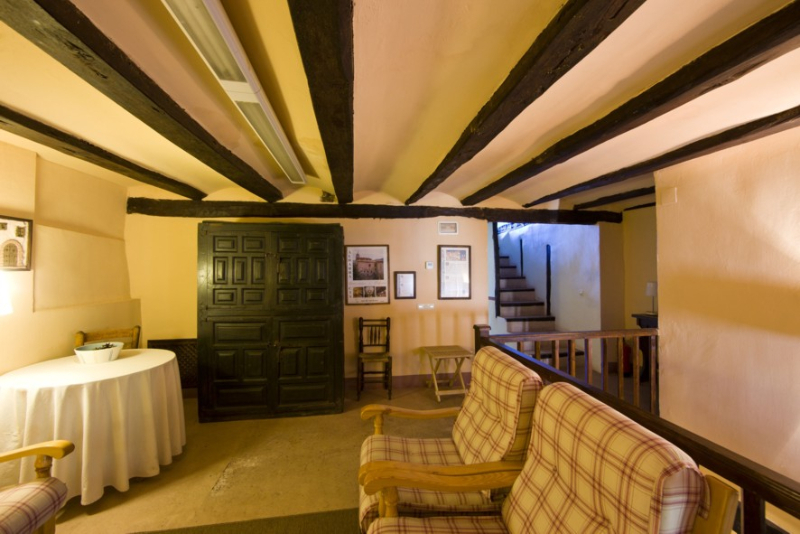 The house’s original features were preserved during the restoration process, although they were adapted to its new lodging purposes. 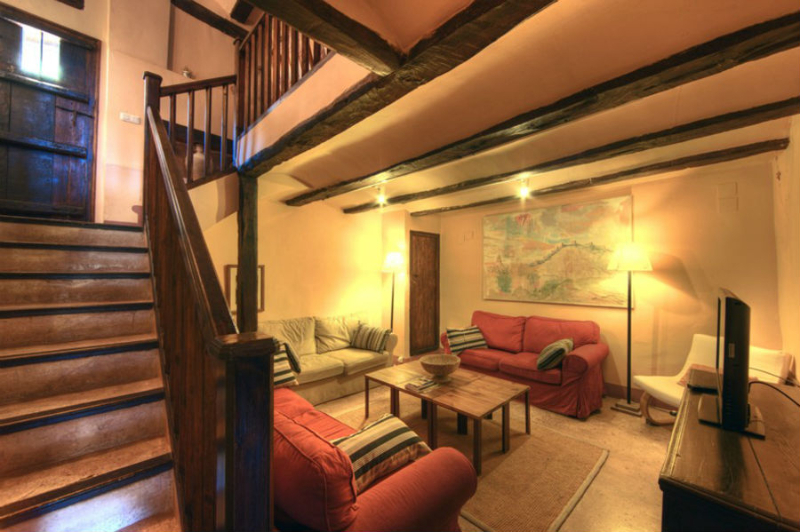 This charming cultural accommodation of plain features, yet with a style of its own, offers a remarkably cosy atmosphere. The services provided give residents full personal autonomy. 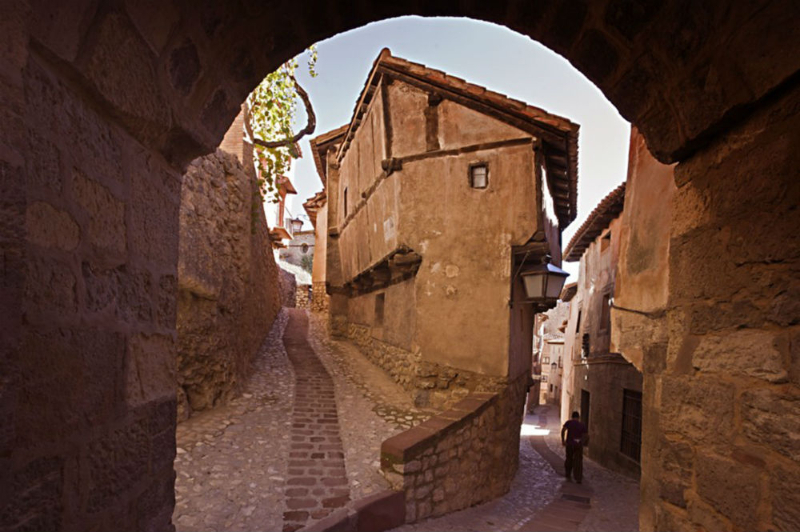 It is undoubtedly the epitome of traditional architecture in Albarracín. 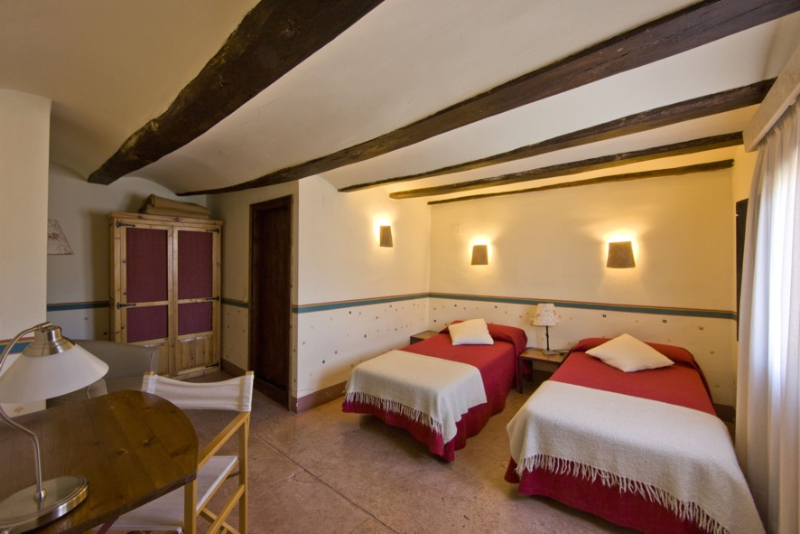 In this small plaster and wooden house, with its surprising building irregularities, the distinguishing features of traditional buildings of Albarracín have been preserved. 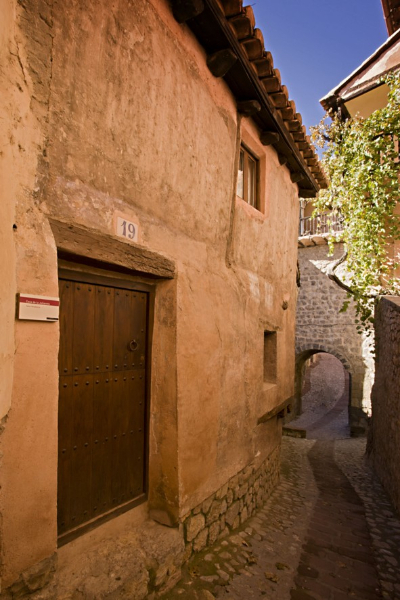 La Julianeta is unquestionably one of the main landmarks of the old town. 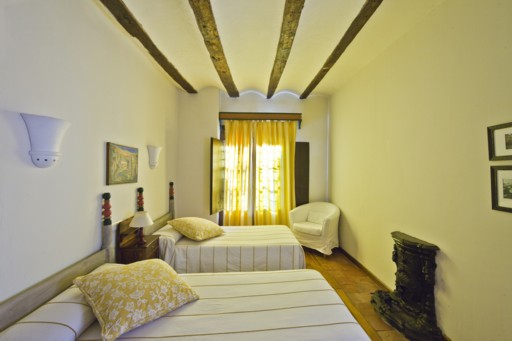 “Casa de la Julianeta” is also a wonderful example of restoration of traditional architecture. The original layout has been recovered whenever possible, given the irregular shape of the house, with small superimposed rooms connected to each other by means of a complex system of stairways. 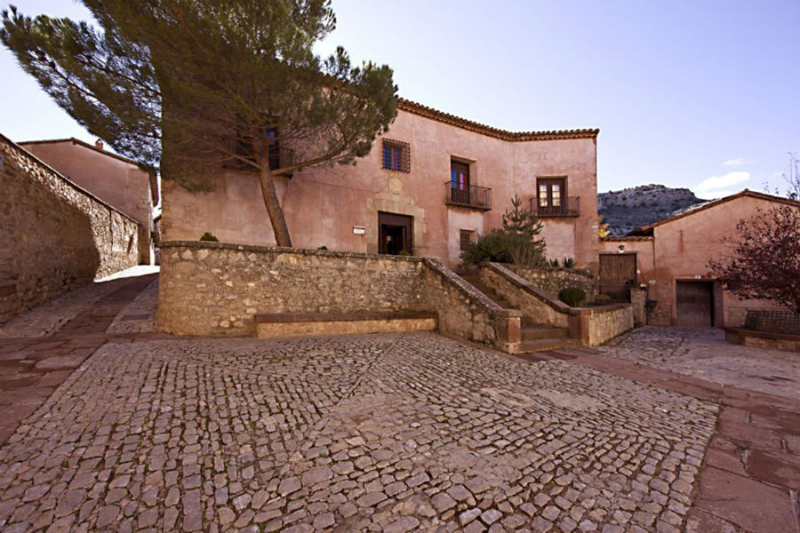 In addition to accommodation purposes, nowadays it is also used as a workshop. 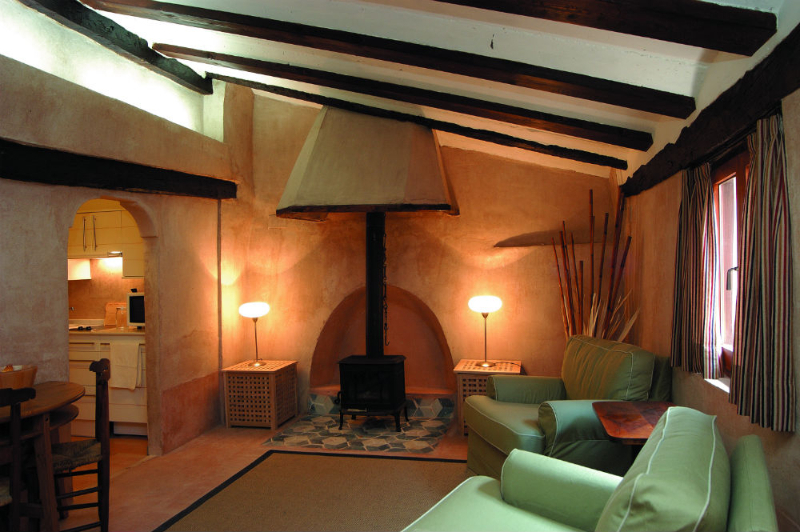 Two small studios -or a larger one if necessary- with matching workshops have been built after the restoration.